← Reflections on the early years. What term do we use for a period of one hundred years? Which invention or discovery marks the transition from prehistory to history? What does the C stand for in BCE/CE? A table of 4 ancient buildings was given and you needed to match them to their civilisation and also know what they were used for eg entertainment, protection etc? Where did the Ancient Olympic Games originate and interpret pictures and tables of those games? 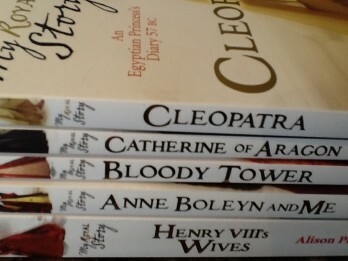 Two years ago, I did a blog post about the methods we began to use to learn history, covering DVD’s, audios, books both fiction and non fiction. (http://www.raisingworldchangers.com.au/blog-post/learning-history/ ) Especially those parents who are home schooling, please look up this post as it contains some really useful and practical information. I encourage my children to read widely and read from really decent books. They love books like “Diary of a Wimpy Kid” but I don’t encourage a lot of slack humour or toilet humour books. 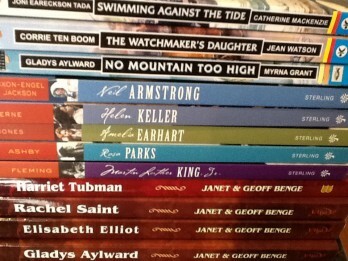 Instead, we buy them masses of books that are biographical and historically based. I was commenting today to a friend that I think we have read every possible story of a Jewish child from World War 2 and how they survived. An angle we probably haven’t looked at much is probably looking at the war from the German angle. Matey, in particular, loved reading stories about the black slaves in America and the attempts at freedom, thus we have a huge selection about that era. Princess loved royalty so you can ask her any question about English or French royalty and she knows the answer from her reading books (eg Royal Diaries, etc) about females who have been princesses and queens. 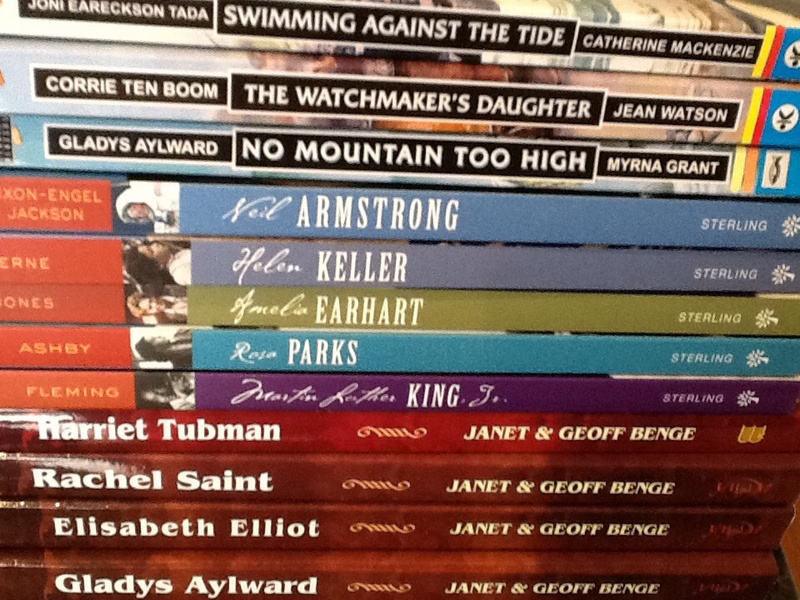 Sonlight Curriculum in the US lists some great historically based novels under their year level curriculum and that is a great place to start for ideas. I also love DVD’s that complement these stories and have no issue with my children seeing DVD’s that are appropriate about war time etc. Until 2 years ago, we didn’t include any formal history learning in our home school. 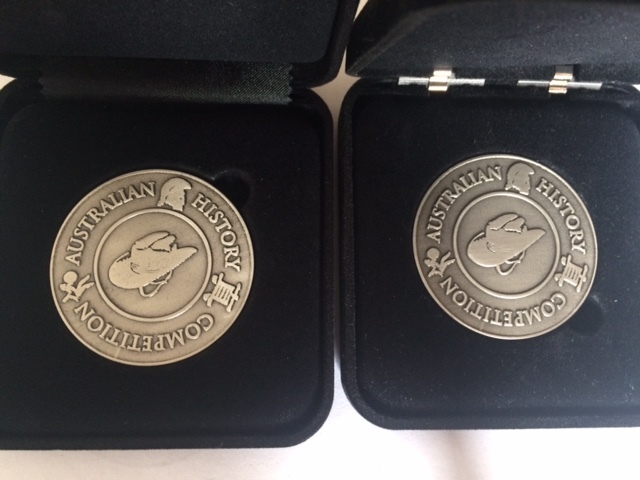 That was the year I entered Princess, then in year 5, into the year 8 Australian History Competition. The entry was purely for me to see how far behind we were in history knowledge and what the subject requirements would be if I continued to home school through secondary school. I was flabbergasted then to learn that she came equal first in Australia that year. Thus, we began including history in our weekly schedule, using the series “The Mystery of History” by Linda Lacour Hobar. Any history series would suffice but we liked the Christian worldview and the manner in which the history was presented like a story. Several times each week I read a few pages whilst Matey (10) plays with Lego and Princess (13) cooks or looks up on the internet information related to what we are reading. Both children request history most days. I am still not sure if they actually love the subject and hearing all about various times or if it is because they don’t have to do any work and can play whilst I read. Both children entered the competition last year, getting 94% (Matey) and 92% (Princess). This year, they peaked again at 98% coming first in the year 7 exam. Unfortunately, I didn’t get to do much history at school as in my secondary school years, our year level had to learn geography whilst the years above and below learnt history. I am finding that I love history and the lessons we can learn. 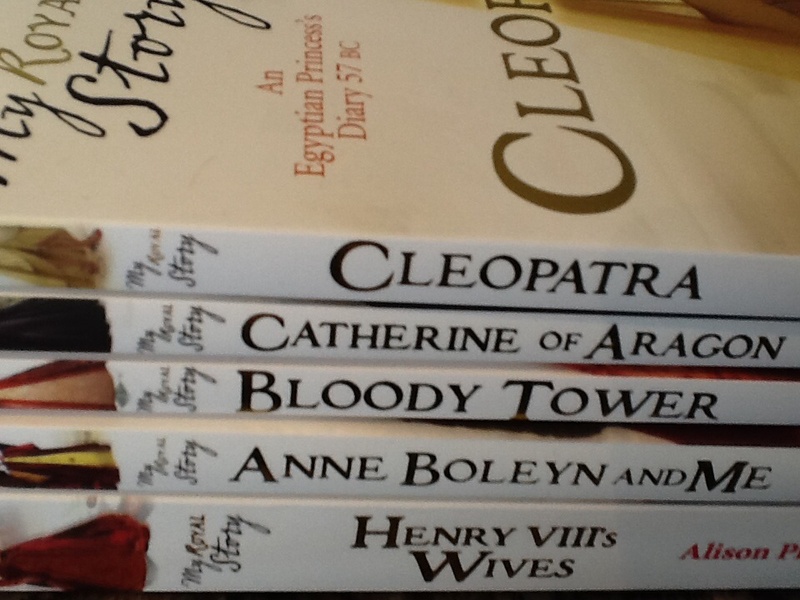 I have always loved reading books to the children based on facts eg historical fiction. Matey in particular loves this. My children have always loved the personal touch in stories and love visiting the Immigration Museum in Melbourne where it is full of personal stories. The Museum of Victoria doesn’t seem to have the same level of personal stuff. 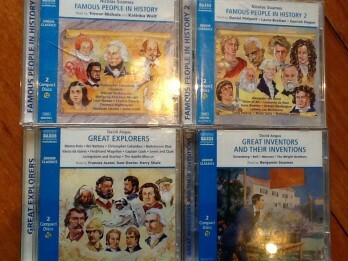 We have also listened widely to audio CD’s about historical events and people in history. Whilst travelling over an hour, we usually put these CD’s on in the car and find that we all learn about history. Earlier this year on a 6 hour drive, we listened to information about World War 2 by Diana Waring and her history CD collection of “What in the World?” and all about Churchill and his role in the war. This lead us to investigate why the UK then didn’t re-elect him after the war. The lesson we learnt was that it is so important to learn from history as we are seeing similar mistakes being made again. If you want to change the world, learn from history but first, you need to know your history. I love how intentional you are with you parenting jane! Some great resources here, thankyou for sharing. Thanks Jane. You’ve inspired me again this month. My children have learned a great deal about Australian history in school lately, but still don’t know much about world history. Your blog has given me some great ideas and resources on how to help them learn more from the past.